Over the past several years, successive British governments have prioritised growing the tech industry as a way to ensure that the UK economy can thrive in an increasingly digital world. And those results have paid off: According to recent statistics, the UK’s thriving digital industry is now worth £161bn to the economy and supports more than 1.5m jobs. What’s more, the UK has the largest digital economy as a percentage of GDP in the G20, with expected growth of 15% next year. That said, this position is far from guaranteed. Brexit, the uncertainty around freedom of movement, and the growing appeal of other global tech hubs in Europe, the US and Asia have called into question whether the UK is well-positioned to fill the 750,000 new digital jobs that will open by 2020, and ultimately stay competitive in the global tech economy.  To get at the root of this issue, Hired dug into the hundreds of companies and thousands of candidates who have participated in our UK marketplace over the last 18 months to better understand the state of the nation’s talent and skills base. The result is our “Mind the Gap” report, which helps identify the digital skills that companies are demanding to help their businesses grow, and which we hope will inform the debate about what the UK needs to do next to maintain its position at the forefront of the global tech industry. 1. 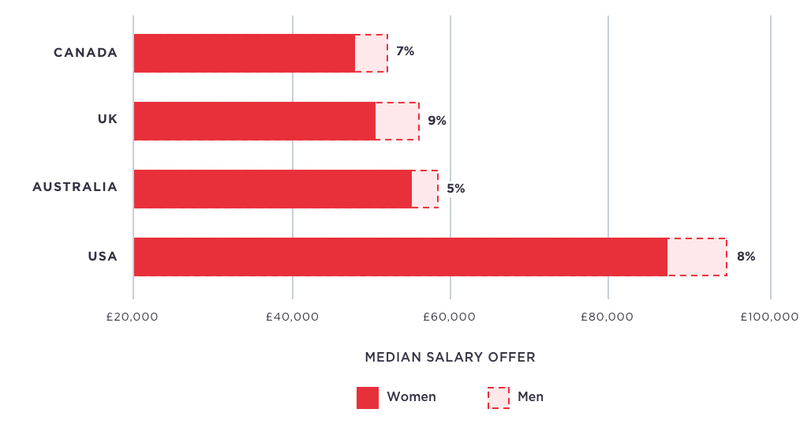 There is a significant skills gap in the key areas of data, security, Python, Ruby, UI and UX. 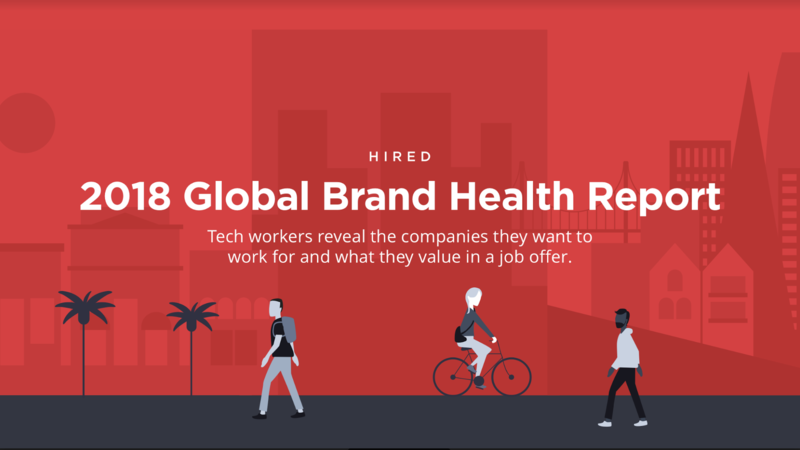 Whether measured by supply and demand, interview requests or job offers, these areas consistently emerged as the skills most coveted by tech firms. Market appetite for these skills is far outstripping supply, with, for example, the demand for security engineers increasingly by 234% in the last 18 months alone. 2. Particularly with the uncertainty over the Brexit decision, gaps in the supply and demand of vital skills may hold back the UK tech sector’s growth. One in three people working in the UK tech sector come from another European country. Britain’s position as a digital powerhouse has been dependent on bringing in these kinds of high-skilled workers as a supplement to the country’s home-grown talent; the skills gap will only worsen if the UK can’t attract the best talent, wherever it’s from. 3. 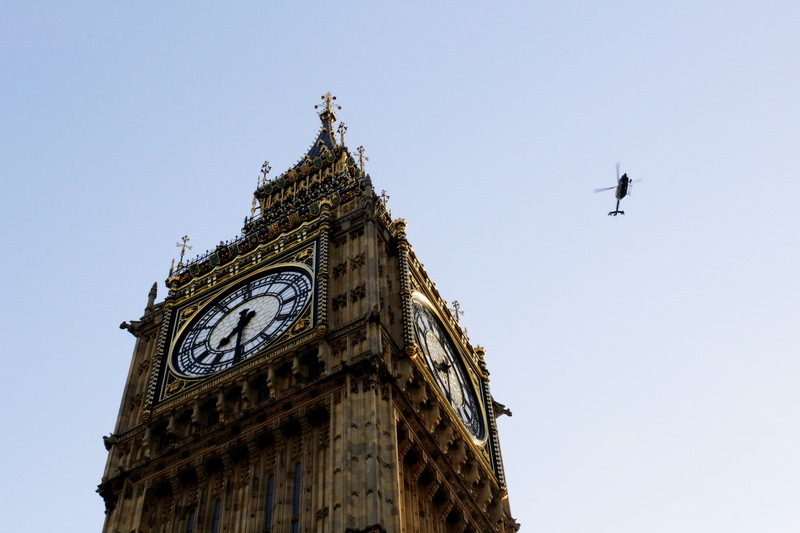 The UK’s global competitiveness against US tech hubs is an area of concern. 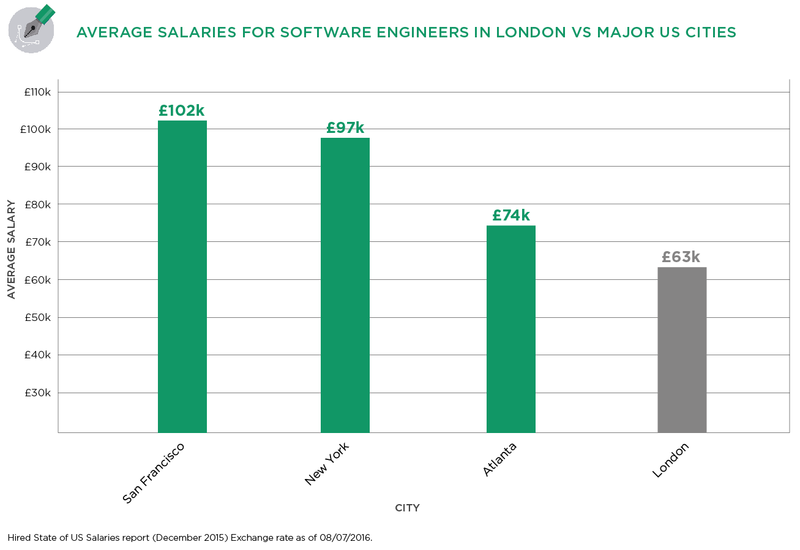 Average salaries for tech workers in London are substantially lower than in Silicon Valley and New York, which have salaries 38% and 35% higher, respectively, than the UK. 4. There is a worrying trend when looking at the pipeline of tech-savvy students entering the workforce. Seventy-four percent of tech workers have a degree — a much higher proportion than the national average. 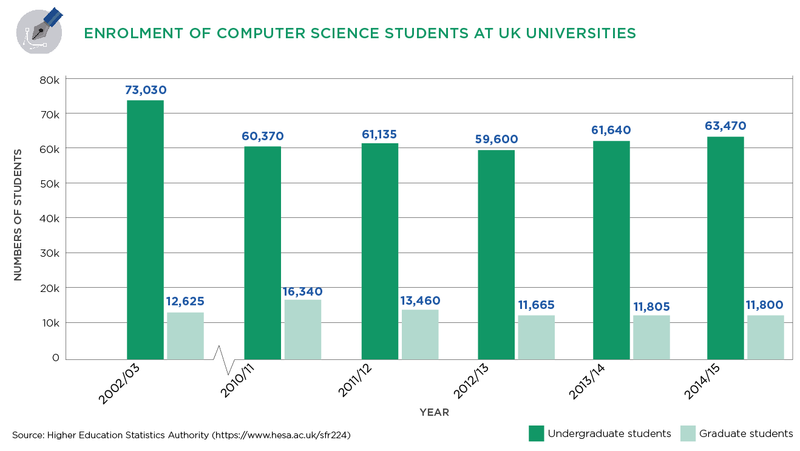 However, the number of UK students graduating with computer science qualifications has dropped considerably since 2002. This is in direct contrast to neighbours such as France, which now provides the European market with more computer science graduates than any other country. 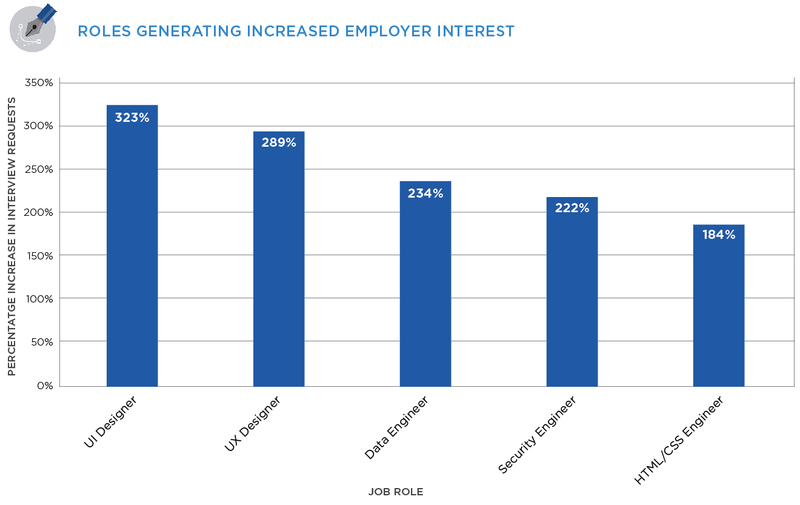 Given this and the fact that our data revealed that a large number of developers are now self-taught, employers need to ensure passion and commitment are given due consideration in their recruitment process, alongside university degrees. This suggests that, while the UK has a highly-qualified workforce today, it risks the skills gap widening, with fewer developers and software engineers entering the workplace despite an economy that is hungrier than ever for tech talent. Businesses, educational institutions and the government need to collaborate closely to ensure that we are addressing this issue and nurturing the talent that will secure the UK’s position as a digital leader in the years ahead. If we do this, we will ensure that the UK remains competitive in the global tech marketplace.